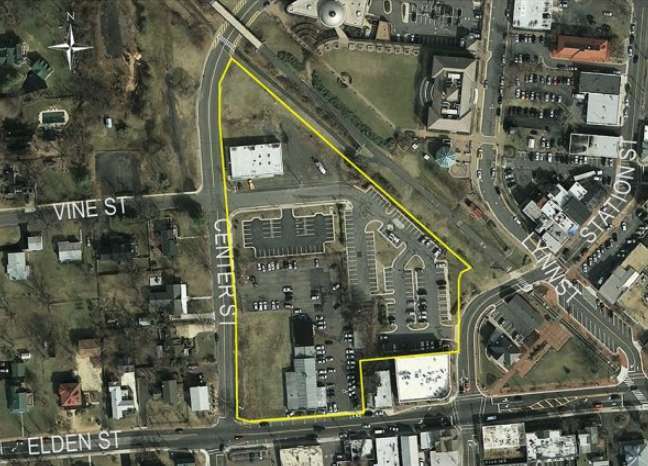 Comstock’s newest redevelopment plans for downtown Herndon are moving forward. Town Manager Bill Ashton told the Herndon Town Council at its public session last night (Feb. 26) that the staff has finished reviewing the fourth resubmission of the site plans. The staff began the review at the start of February. Now, the staff is preparing to send a consolidated list of questions back to Comstock. “It’s something we’re working on diligently, but it’s deep in the staff weeds right now,” Ashton said. 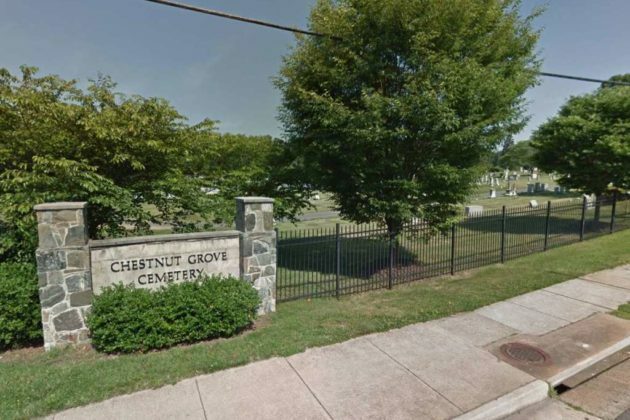 The next step will involve the Heritage Preservation Review Board, he said. At the meeting, the Town Council approved a special exemption to increase the number of nonresidents from four to seven in a 24-hour period at a home-based business. The salon is located in an English basement on a private residence. Please park in the driveway. 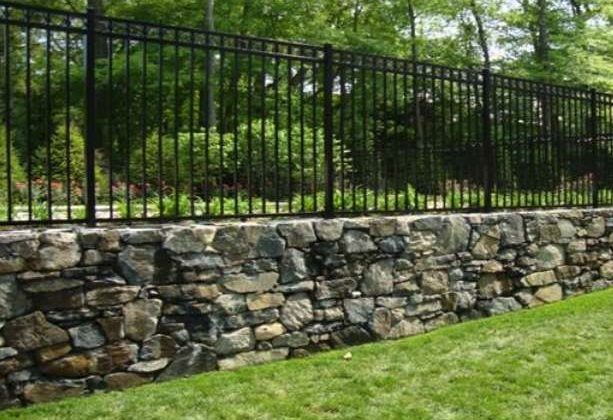 On the left side of the house you’ll see a fence gate, if it is closed please let yourself in, then follow the concrete sidewalk all the way around back where you’ll find a staircase down to the salon. “We really want to make it easier for home-based businesses to thrive in Herndon,” Councilmember Cesar del Aguila said, urging locals to share any advice they may have. 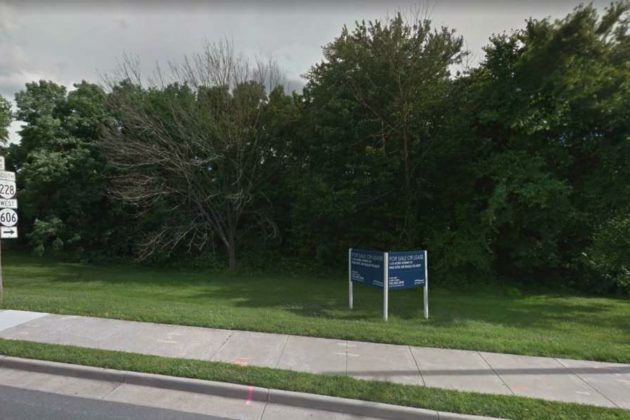 The Town Council also approved an amendment to the town’s Comprehensive Plan to create a design concept for improvements on South Elden Street between Sterling Road and Herndon Parkway. Connie Haines Hutchinson, a former vice mayor of the Herndon Town Council, is joining the race for the 86th District seat, which represents Herndon and parts of Fairfax and Loudoun counties. 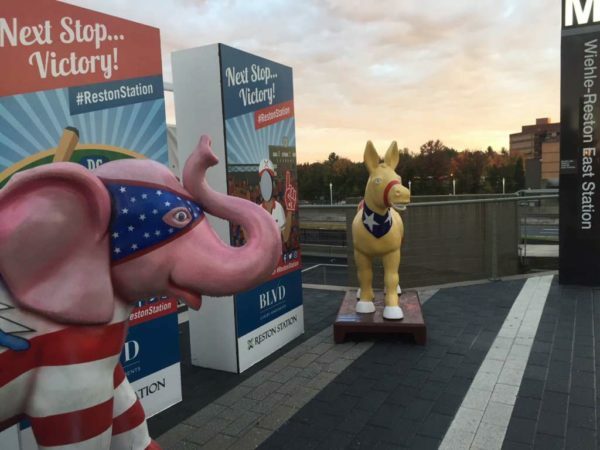 Hutchinson is running on a campaign to improve education, revamp transportation, lower medical costs and ensure Northern Virginia gets support from the Commonwealth. 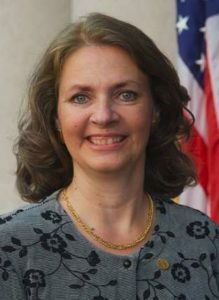 Ever since she ran for the Herndon Town Council in 1990, Hutchinson said she is dedicated to “give my time and talents to improve the quality of life in my hometown,” according to her website, adding that her seven terms on the council gave her the background and knowledge to represent the area in the Virginia House of Delegates. Hutchinson, who claims that her main issues are nonpartisan, decided to run as an Independent for the 86th District seat because elected officials in Herndon run as Independents “in order to allow cooperation and collaboration without divisive party politics,” her website says. Currently, Hutchinson is the general manager at The Borenstein Group, according to her LinkedIn. She is also the treasurer of the Herndon Hospitality Association, a nonprofit she founded to assist Herndon’s hospitality industry. Previously, she has served on the Virginia Municipal League’s Legislative Committee and was the president of the Dulles Area Transportation Association. In 1992, she became a member of the Herndon Town Council, and she served as vice mayor during the 2008-2010 term and again in 2012-2014. Prior to that, Hutchinson served on the town’s architectural and heritage preservation review boards. She has also been involved with the Optimist Club of Herndon, Herndon Recreation, Inc., Herndon Youth Soccer and the parent-teacher associations for Herndon Elementary School and Herndon Middle School. 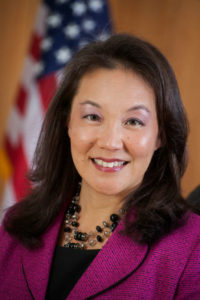 Hutchinson is a Herndon native, and her four children attended Herndon schools, according to her website. Hutchinson will face Republican Gregg Nelson and Democrat Ibraheem Samirah in the special election set for Feb. 19. 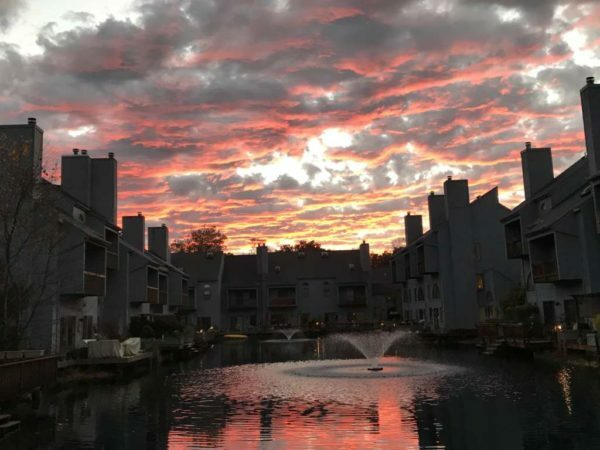 A Herndon house concert series that features independent artists is set to challenge a zoning violation at the Board of Zoning Appeals next week. Chris Devine, the host of The Crib, received a violation notice taped to his front door from the Town of Herndon for a concert on Nov. 17 in his home, the Herndon Connection reported last week. Dated Dec. 13, the citation says that 44 people were observed entering the home between 6:30 p.m. and 8:30 p.m. for a Gina Venier and Lexie Hayden concert. 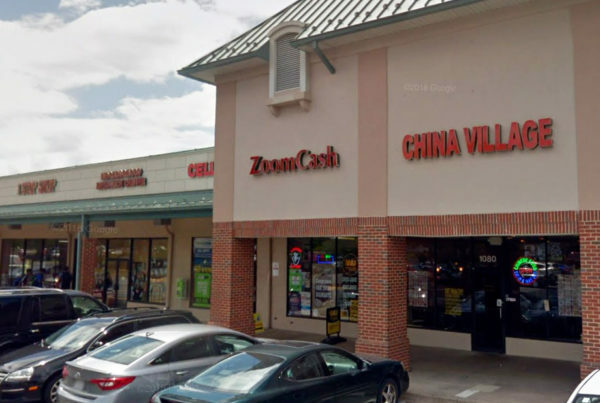 “[This] activity constitutes an Indoor Entertainment use and is not a permitted use on the subject property pursuant to the Town of Herndon Zoning Ordination,” the citation said. It gave Devine 15 days to resolve the violation to avoid incurring fines. Instead, Devine decided to appeal the violation. 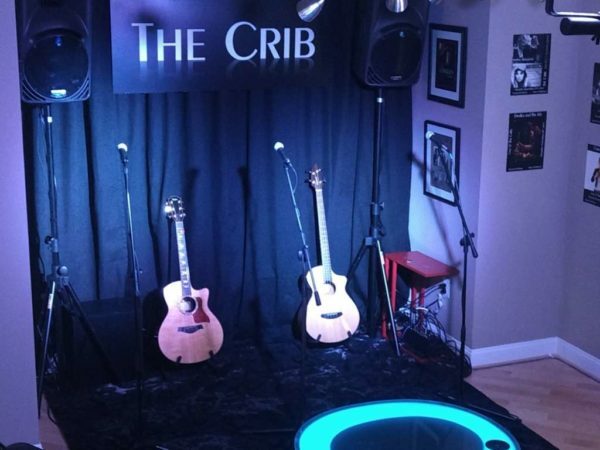 “We firmly believe The Crib house concert does not meet that definition, and further believe the citation arose from a lack of understanding of the house concert concept,” The Crib’s blog says. At the public comment period during the Town Council public session last night (Jan. 15), Devine said that he met with town staff after receiving the citation. “In that meeting, I learned that the town had very little understanding of that activity, which is house concerts, and as a result were very vague on how my activity tripped the wire as a commercial use,” he said. Devine slammed Town of Herndon’s leadership, saying that he was denied access to basic information about the situation after he tried to ask follow-up questions after the meeting. 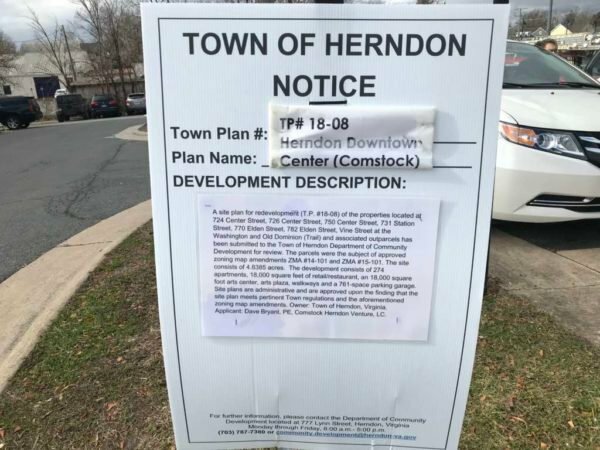 A Herndon town attorney told Mayor Lisa Merkel that the appeal never goes to the Town Council. Instead, it goes to the Board of Zoning Appeals and then to the circuit court. “There is a role in the Town Council in looking at our code if there were a change to be made in the future,” Merkel said. As Devine tackles the appeals process, a GoFundMe page created on Dec. 20 is helping to cover the fines. It will take a while to work through the appeals process — possibly as long as three months — and we don’t know at this point what the outcome will be. During this time we have five fantastic artists already scheduled to perform and we will incur fines for each event we choose to hold, but we want to continue with the events in order to keep our commitments to both the artists and our guests who have made advance donations. During normal times, each house show we hold costs The Crib between $100-$200; we do this because we have a passion for connecting incredible artists with deserving and appreciative guests. But we can’t absorb the fines on top of the costs we already incur as part of our mission to the arts and the community. Our fundraising goal will allow us to pay the fines over the next several months ($200 for the first event and $500 per subsequent event). We are also seeking a small amount to cover any legal fees we may incur during the appeals process. Any residual funds will be used to create an even better experience for artists and audiences and/or donated to our non-profit partner, The Warrior Music Foundation. The campaign has already hit its fundraising goal of $3,200. In 26 days, 32 people donated $3,335. Since launching in 2015, The Crib has hosted nearly 50 house shows with 28 different artists, according to its website. Each show lets the artist perform two 45-minute sets of original music. Seating is on a first-come basis with a capacity of roughly 40 people. Attendees are encouraged to make a donation in advance — all of the donations go to the artist. A public hearing notice indicates that the Board of Zoning Appeals will take up the matter next Thursday (Jan. 24) at 7:30 p.m. at 765 Lynn Street. Virginia Tire and Auto may open next year at 199 Elden Street — the former Cardinal Bank branch spot. 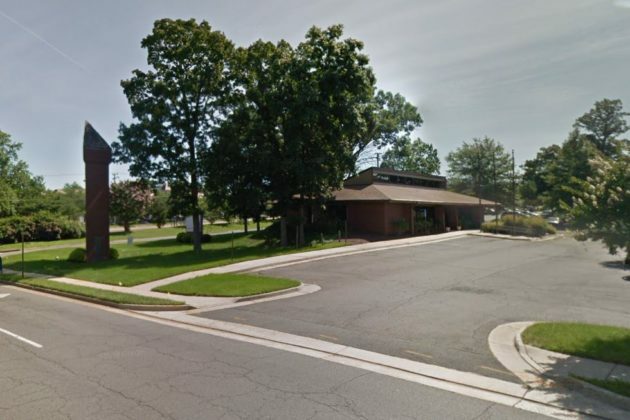 The Herndon Town Council approved on March 13 the construction and operation of the vehicle service center nearly one year after Cardinal Bank closed its branch there during its merger with United Bank. The vehicle service center aims to open next summer, an employee told Reston Now. Phoenix Steel Erectors’ work on the site is scheduled to begin in February, according to a Facebook post. 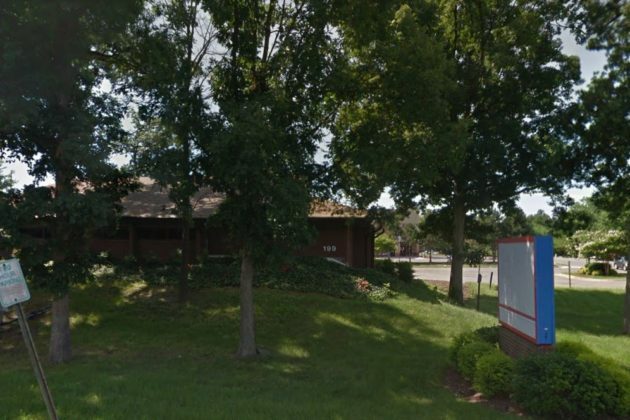 Virginia Tire and Auto has been expanding recently, with two other locations set to open in Richmond and Vienna. 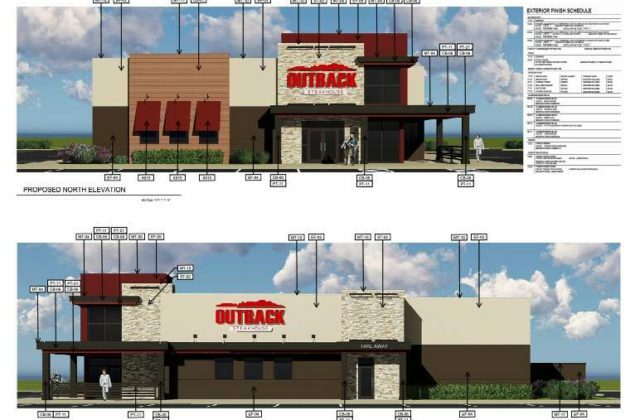 The new locations will bring the total number of dealership locations to 16. A new tire and auto business is opening! Two current and one incoming Herndon Town councilmembers have dropped their lawsuit against Councilmember Grace Wolf Cunningham. Cunningham, who lost her seat in a narrow and highly charged election, was replaced by newcomers Cesar del Aguila and Pradip Dhakal. Del Aguila and current councilmembers Sheila Olem and Signe Friedrichs, who both won re-election, filed a civil suit on Sept. 24 against Cunningham for allegations of malicious prosecution. The trio ran a unified campaign. John Farrell, the attorney for the plaintiffs, told Reston Now that his clients directed him to file a nonsuit last Tuesday, which the judge has not yet signed off on. The lawsuit alleges that the four-term councilwoman engaged in malicious prosecution over when she filed campaign law violations against the trio. The Virginia State Board of Elections dismissed the three complaints lodged by Cunningham. The judge in the case rejected Cunningham’s attempt to dismiss the case. 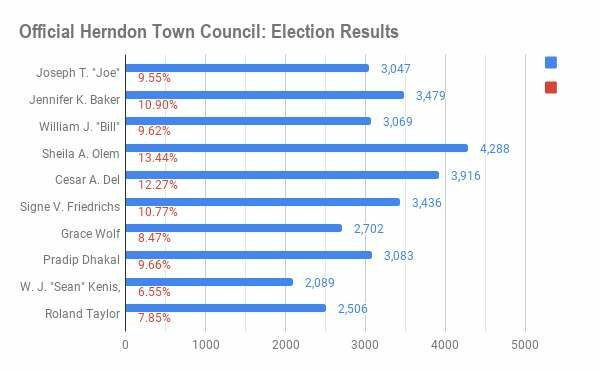 While re-election of four incumbents maintained much of the board’s composition, the lawsuit signals a changing dynamic of the new town council. Cunningham declined to comment to Reston Now because the case is still pending. (Editor’s note: This story was updated Thursday at 7:30 a.m. to reflect official results). Incumbent Grace Wolf Cunningham, a four-term councilwoman, lost her seat on the Herndon Town Council following a narrow and highly charged election. Cunningham was replaced by newcomers Cesar Del Aguila and Pradip Dhakal. Incumbents Jennifer Baker, Sheila Olem, Bill McKenna and Signe Friedrichs were also elected to the council, maintaining much of the composition of the board. After official results were certified, Dhakal came in fifth place, moving McKenna to the sixth spot and booting Joe Plummer, another candidate who was previously projected to win, off the council. Ten candidates ran for six open seats and margins between candidates remained characteristically narrow, as in previous years. Although Olem, Aguila and Friedrichs were separated by relatively comfortable margins, votes separating other candidates were minimal. Plummer lost to McKenna by 22 votes. At around 11:30 p.m. on election night, it appeared the newcomer would secure the final seat on the board and that McKenna, a one-term councilman, was off. Internal conflict that boiled over in the public arena was common in this year’s election. Olem, Friedrichs and Del Aguila — who ran a unified campaign — filed a lawsuit against Cunningham alleging she engaging in malicious prosecution over when the four-term councilwoman filed campaign law violations against the trio. The violations were squarely dismissed by the Virginia State Board of Elections. The lawsuit is pending a decision following the election. The judge in the case rejected Cunningham’s attempt to dismiss the case. Town of Herndon Mayor Lisa Merkel was re-elected as mayor, continuing a position she has held since 2012. The election was not contested. New council members will assume office on Jan. 1. 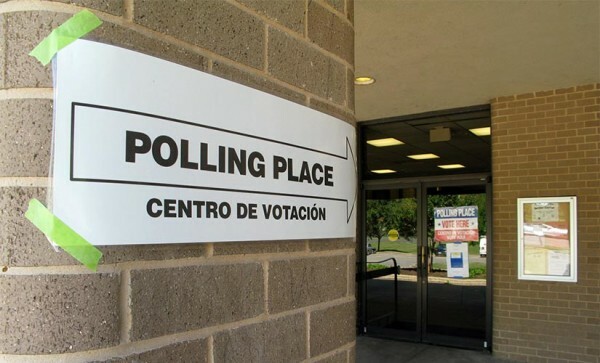 In other local and county election news, Fairfax County voters approved a $182 million bond to fund public safety improvements for a number of facilities, including fire stations, police training buildings and the renovation of civil and criminal justice facilities. The measure was approved with just under 70 percent of total votes. As of 9:45 a.m., one precinct has not reported results, but the absence of that data will not alter results. Meanwhile, voter turnout was high this year in Fairfax County. 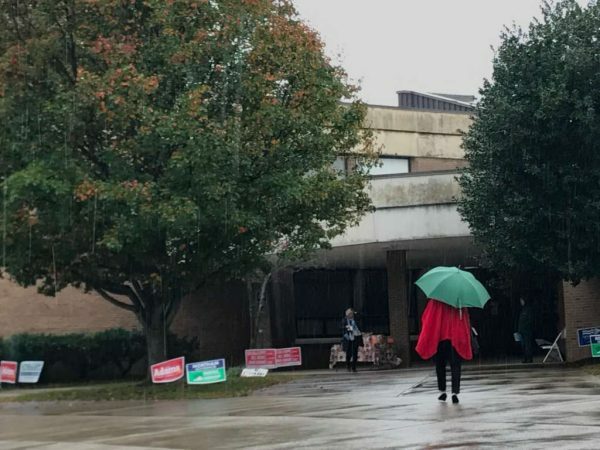 The Fairfax County Office of Elections estimated a voter turnout of nearly 70 percent, including absentee ballots. That number is up from nearly 46 percent in 2014. On Nov. 6, Town of Herndon voters will cast their ballots for the Herndon Mayoral and Herndon Town Council candidates. 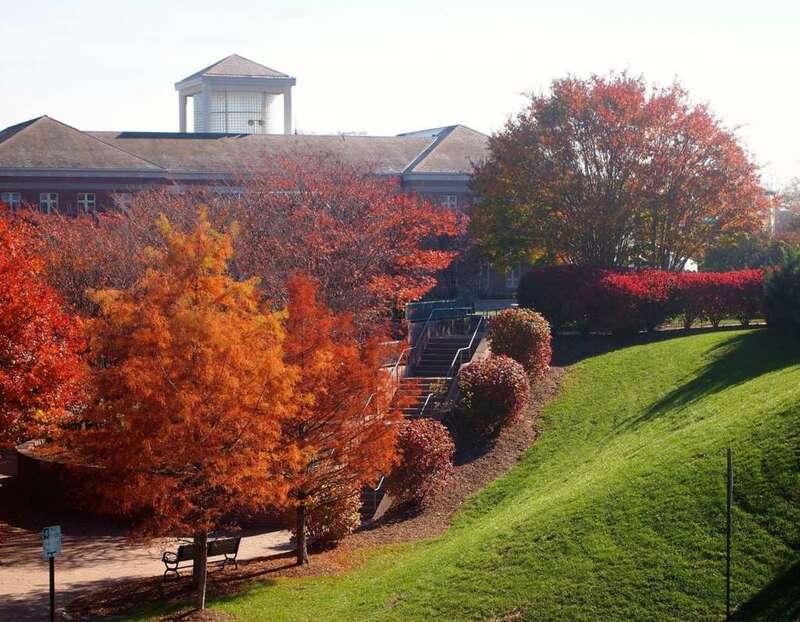 A few days prior to the vote, town residents can chat with candidates on Oct. 22 from 6-8 p.m. in the lobby of the Herndon Municipal Center (777 Lynn Street). Each candidate will have a display table on-site and will be available to answer questions. Lisa Merkel, the town’s current mayor, is running for reelection. No other candidates are running. Five incumbents are running for six seats on the Town Council for one-year terms. Those candidates are Jennifer Baker, Grace Cunningham, Signe Friedrichs, William McKenna and Sheila Olem. In the race, five newcomers are hoping to challenge incumbents for their seats: Cesar Del Aguila, Pradip Dhakal, W.J. Kenis, Jr., Joseph Plummer and Roland Taylor. The event is sponsored by the Dulles Regional Chamber of Commerce. 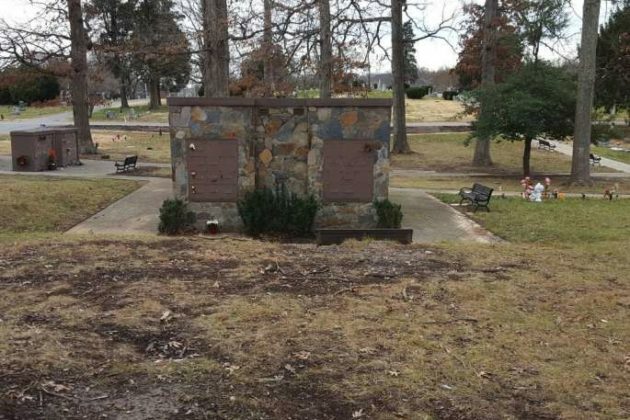 If the person next door is always ready to lend a helping hand or make your day better, Town of Herndon officials want to hear from you. The town is accepting nominations for its Good Neighbor Award. The deadline for submissions is Oct.15. Only town residents can nominate a family member, friend or neighbor how “makes noteworthy contributions toward the quality of life” in local neighborhoods, according to the town. Recipients must be residents of the Town of Herndon and cannot have performed acts of good neighborliness for paid employment. The town mayor and council will recognize Good Neighbor Award recipients at a future public meeting and all recipients will receive a commemorative gift. Nominations can be submitted online and forms are also available at the Herndon Municipal Center and the Herndon Community Center. 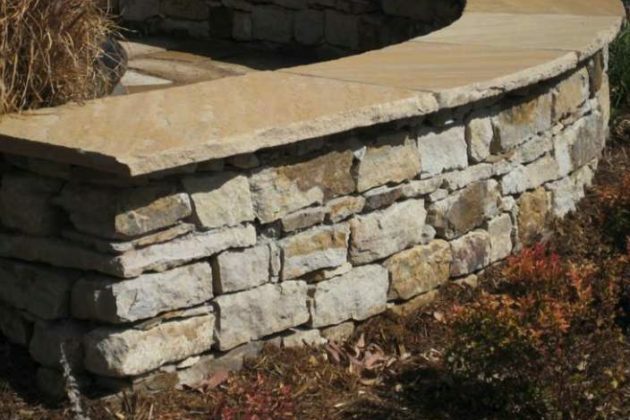 The award is part of the town’s Cultivating Community initiative, which aims to encourage beautification and the enrichment of quality of life in the town’s neighborhoods.